Anyways, I think that the problem really lies in the way this phrase has come about over the years. People do not say that ‘I am in the IT profession’, they prefer to call themselves ‘IT Professionals’. So, does that mean that doctors are not professionals? 🙂 It’s just that a person with a medical degree is called a Doctor & a person who has graduated from with a college of Architecture is called an Architect. However, people with computer certification course or degree end up calling themselves as IT Professionals! In fact, in my line of work which is SEO, there’s no formal degree as such & therefore we have many people calling themselves as SEO Gurus, SEO Analysts etc. So, bottom line is that I should not really be blaming these guys for calling themselves as IT Professionals, however the problem arises only if you are not professional in your work itself & then go on to call yourself as one. I just realized that this has been my first post without a linkout! Author prashPosted on November 22, 2007 November 22, 2007 Categories 4 Geeky2 Comments on Professional IT Professionals? ** Update ** iPhone coming to India officially soon. No, not Space Invaders, but the iPhone Keynote is flooding my email inbox. I have subscribed to newletters & RSS Feeds for Mac, tech & design related news. Since the past 24 hours, I am being bombarded with discussions on iPhone. No I am not complaining, just overwhelmed at the amount of threads being generated. Here’s the run down from MacWorld on Steve Jobs’s Keynote speech which was dominated by iPhone. Macworld Expo Keynote Live Update Indepth details to his entire 2 hour speech. 50% of Macs sold in the USA are to first time Mac buyers. The iPod Nano is the most popular MP3 player till date. iTunes sells 5 million songs a day !!! The iTunes Store has sold 50 million TV shows ! Apple has sold more than 2 billion songs on its iTunes Store to date. Since the iPhone runs Mac OS X, I can see in the future, people switching from Vista to Mac OS X, to integrate all their mobile & laptop files. In other countries, will telecom carriers start partnering with Cingular? I can already see several domain names with ‘iPhone’ in it. 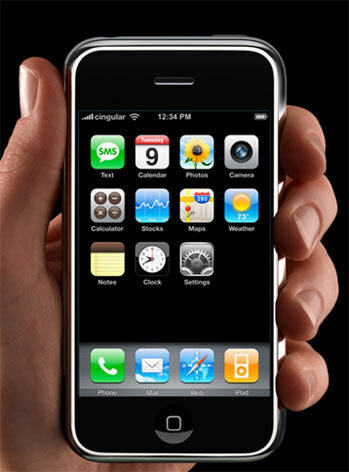 I guess iPhone will be in the news throught 2007, so we shall be seeing lots of junk mail related to iPhone. At the end of the day, basic commuication [mobile] is more important than music [iPod]. So, on that basis, will iPhone eclipse iPod? So, this domain name was worth it !! 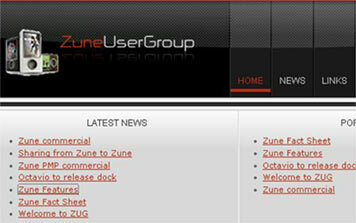 2 new Zune user groups & Zune forums have been launched.